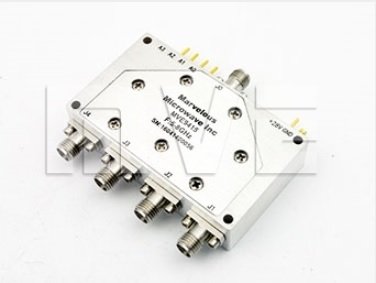 MVE switches provide high quality RF and Microwave Coaxial switches, the frequency range support from DC to 18GHz. 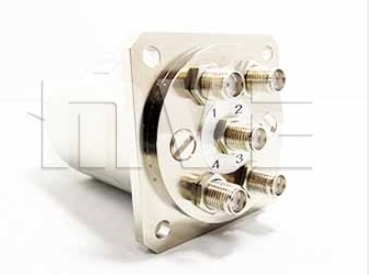 These are available in DPDT,SPDT,SP3T...6T with failsafe, normally open, or TTL functions. b. 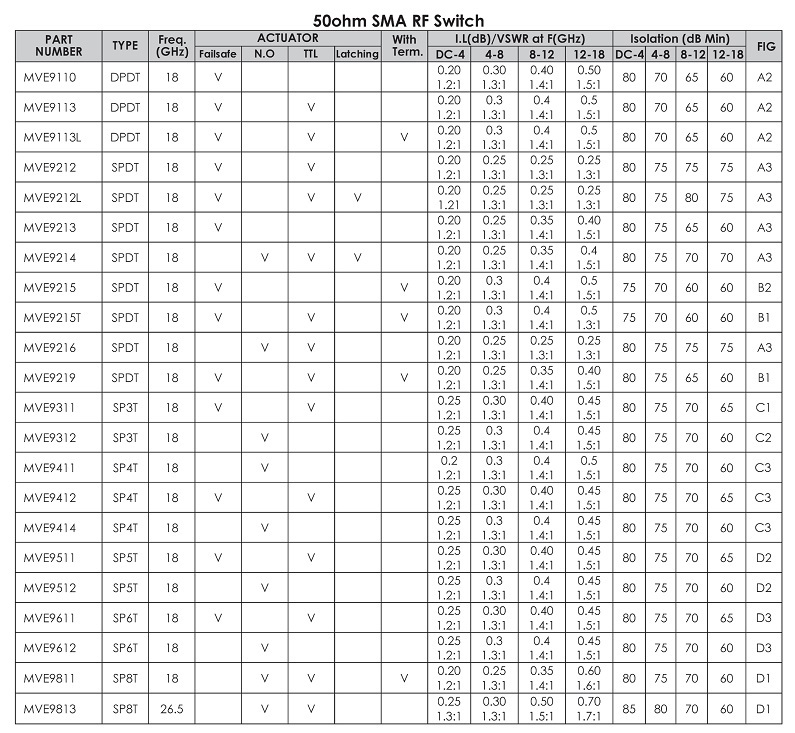 Low Insertion Loss, great Isolation.